Denham, United Kingdom, 2018-May-04 — /Travel PR News/ — IHG® has signed a deal with Barnes Capital to open a striking Holiday Inn® in Coburg, Melbourne’s up-and-coming northern suburb, in 2020. When it opens in 2020, Holiday Inn Melbourne Coburg will enjoy views across the town and its surrounding landscape, including Coburg Lake Reserve. It will feature a gym and large meeting facilities, as well as a bar and all-day dining, establishing it as the destination to sip, dine and unwind. 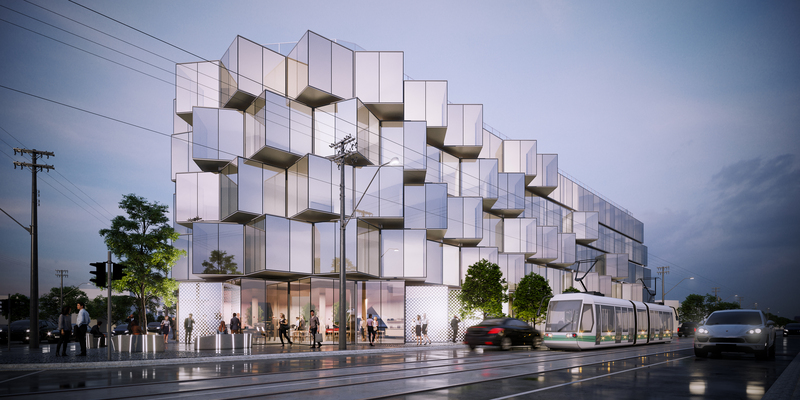 The 150-room new-build hotel will show off a bold, new design statement for Holiday Inn, created by architects Hachem, with its mirrored glass design destined to become a landmark in the heart of Coburg. Coburg has recently enjoyed a surge in popularity as the hipster culture expands north from nearby Brunswick, boasting a number of great bars that are famous for their craft beers. The latest drawcard is the heritage listed Pentridge Prison, which is undergoing a $1 billion redevelopment and will incorporate a Palace Cinema , supermarket, apartments and an urban village that sits alongside the heritage landmarks, community spaces, piazza and public open space. Holiday Inn Melbourne Coburg is located in a prime location on Sydney road, with bus and tram lines running to Carlton and Brunswick, and Batman train station just 300m away. It’s a short 10-minute drive to Essendon Airport, and only 20 minutes to Tullamarine. Holiday Inn Melbourne Coburg complements the 16 Holiday Inn hotels already open across Australasia. It is the IHG’s second Holiday Inn signing in a week, and the latest in a string of signings including Sydney Central, Melbourne Werribee and Geelong. IHG currently has 47 hotels operating under four brands in Australasia, including: InterContinental, Crowne Plaza, Holiday Inn and Holiday Inn Express, with another 17 in the pipeline, including Hotel Indigo Brisbane Fortitude Valley and Hotel Indigo Melbourne Docklands. This entry was posted in Hospitality, Hotels, Travel, Travel Services, Travelers and tagged Abhijay Sandilya, Holiday Inn Melbourne Coburg, IHG, Martyn Barnes. Bookmark the permalink.